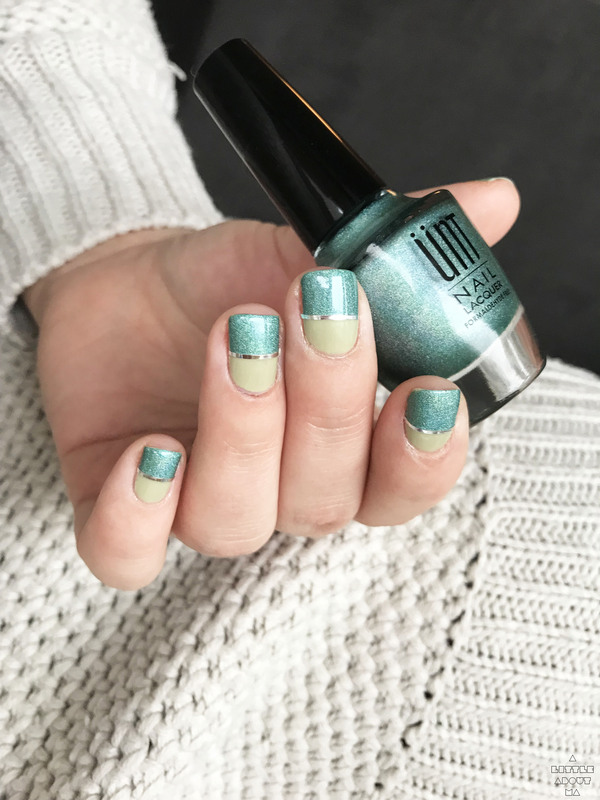 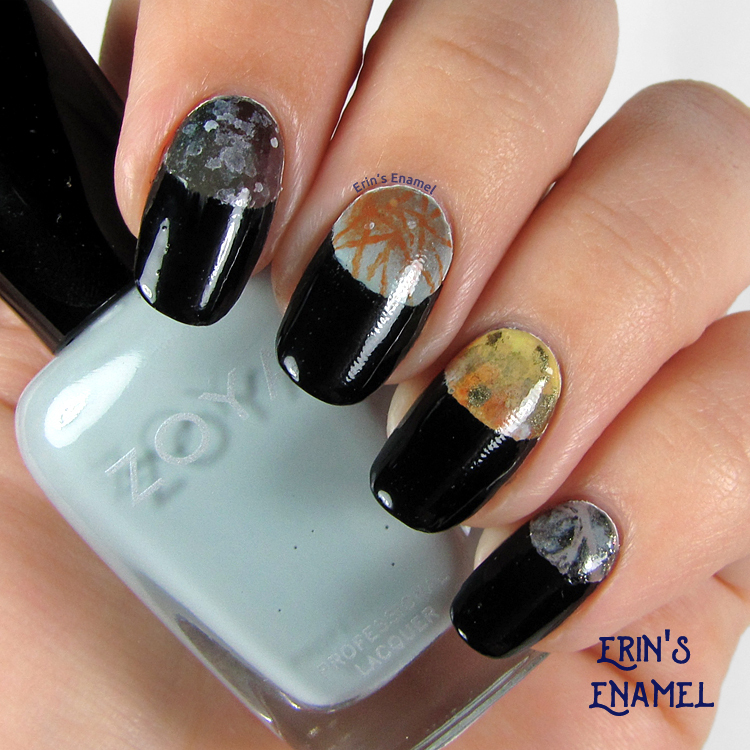 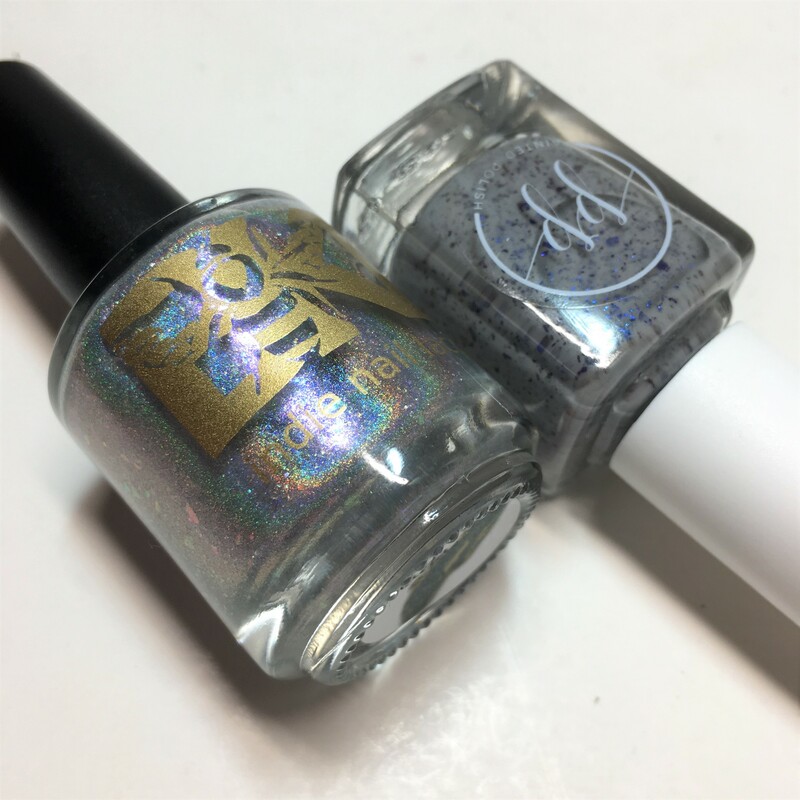 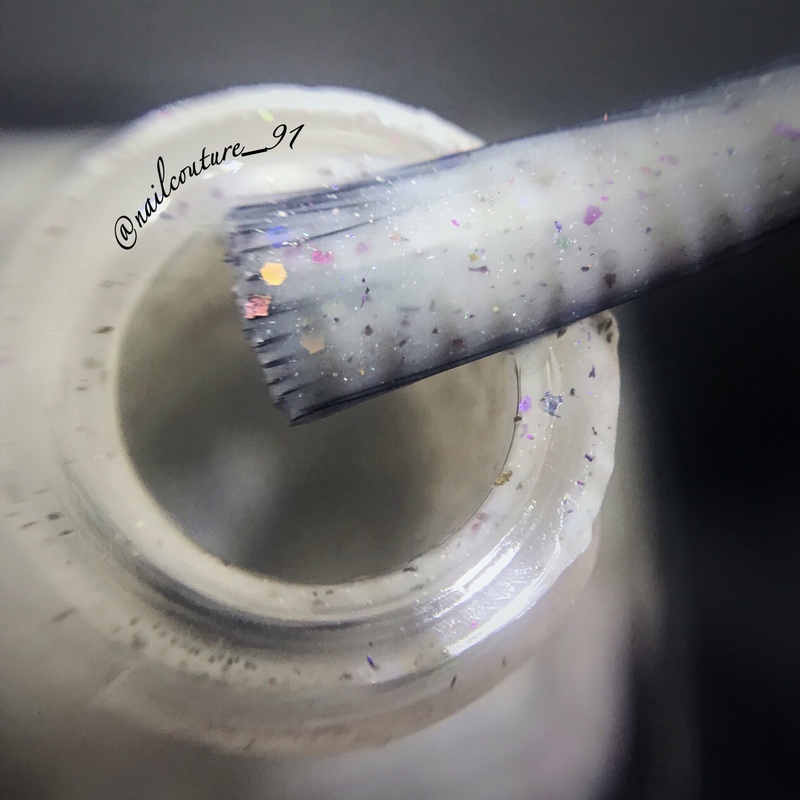 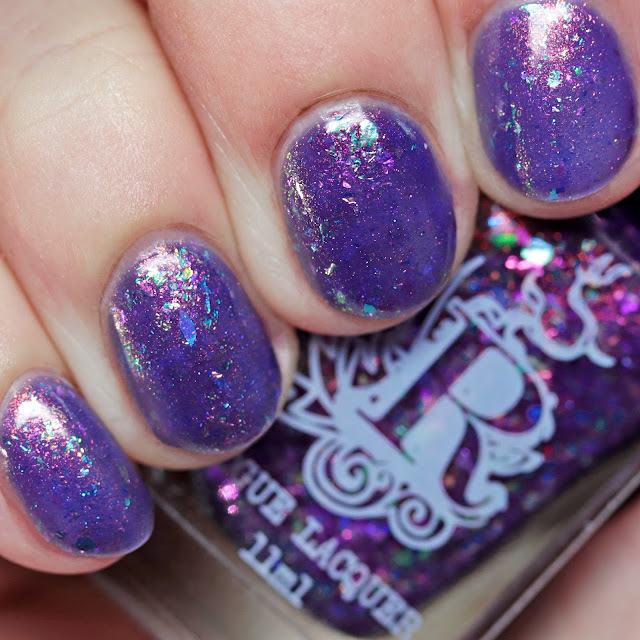 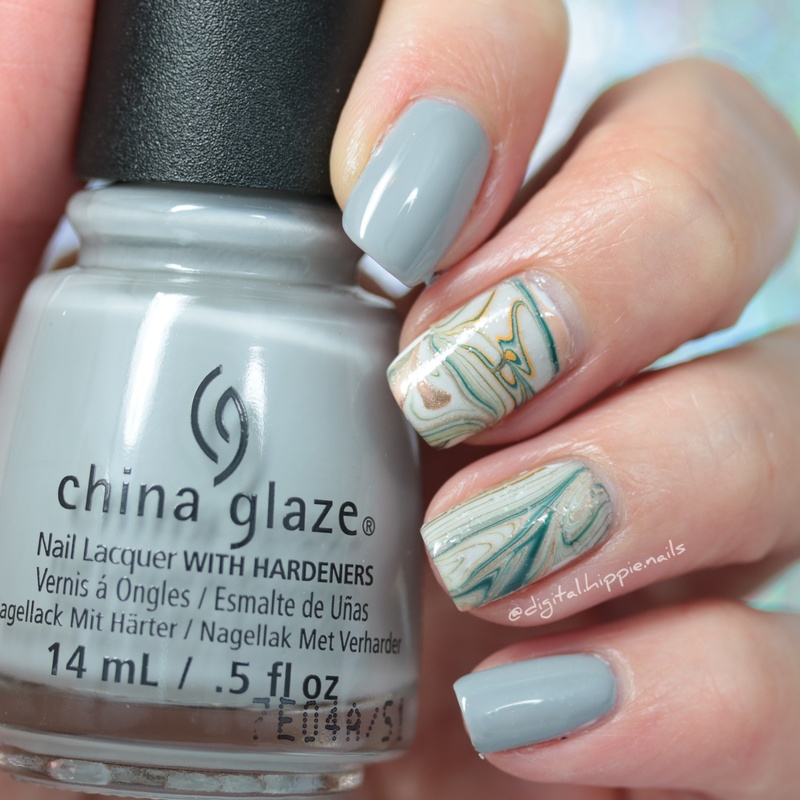 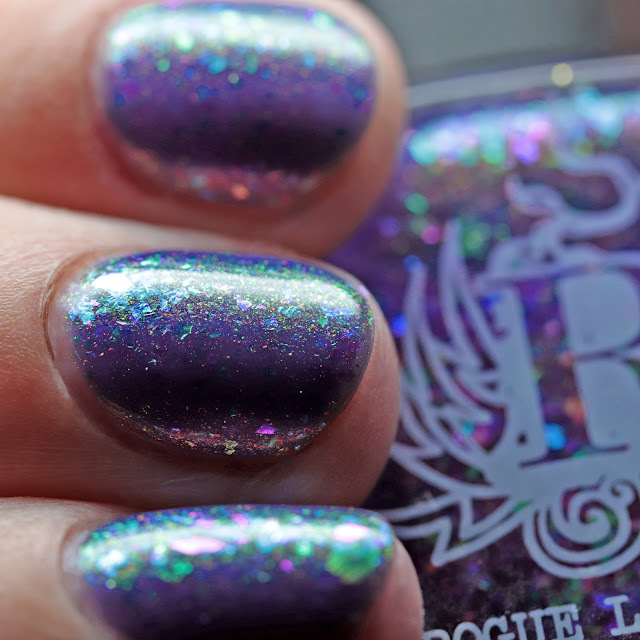 Rogue Lacquer Gris-Gris is an indigo jelly with red-to-green multichrome aurora shimmer, multichrome iridescent flakes, and a tiny splash of holo shimmer. 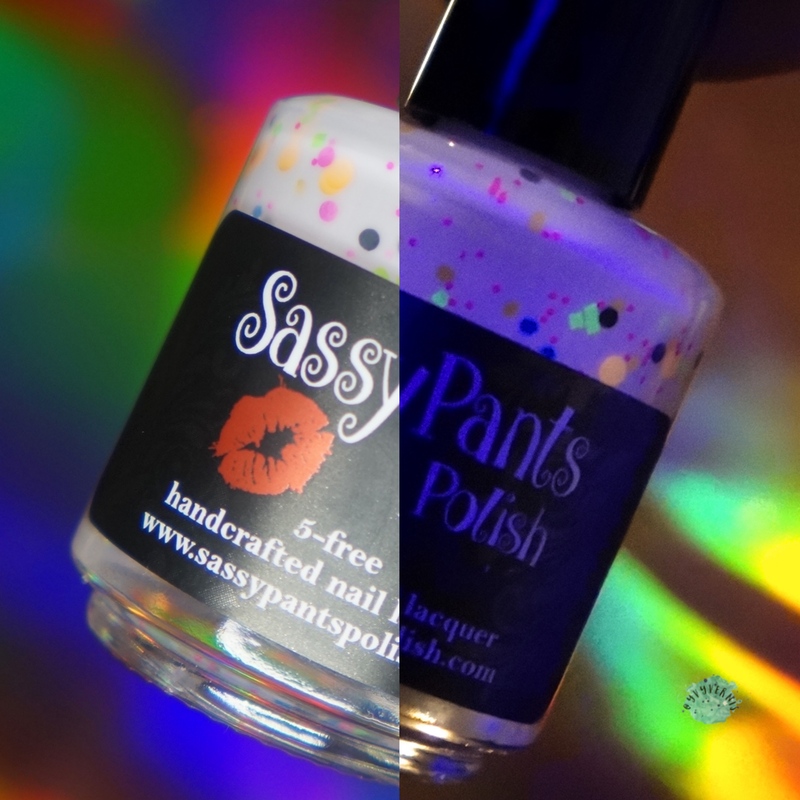 I wore it in four thin coats and it had a fast dry time and shiny finish. 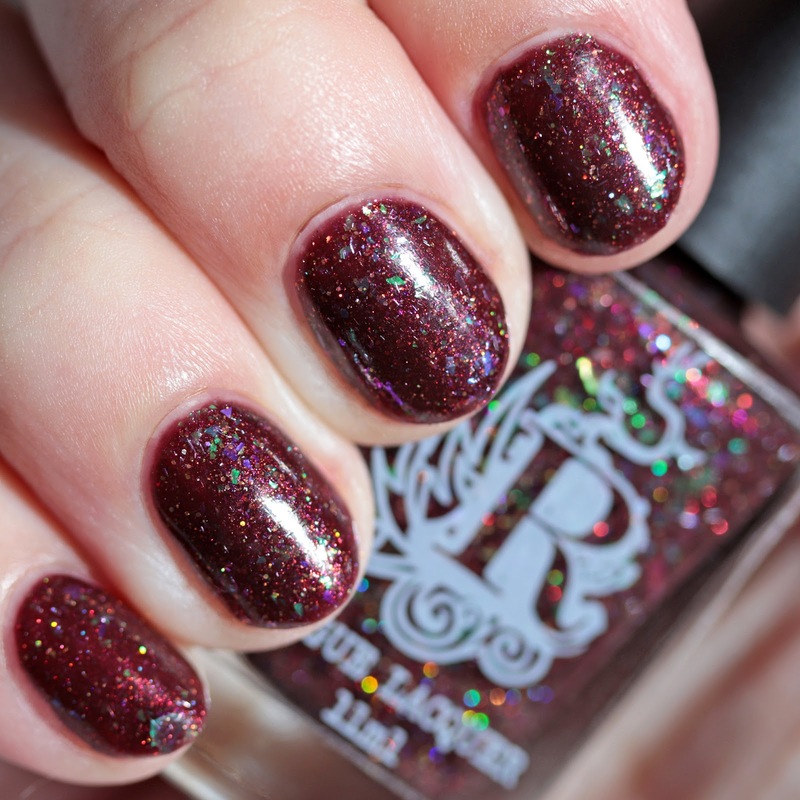 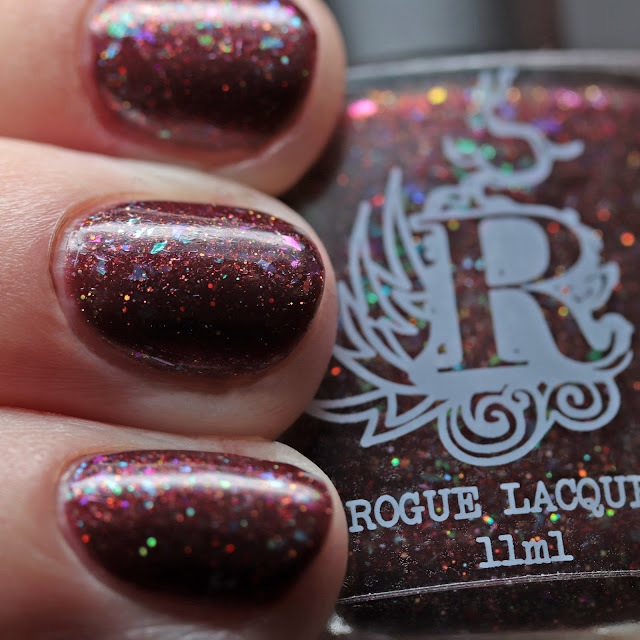 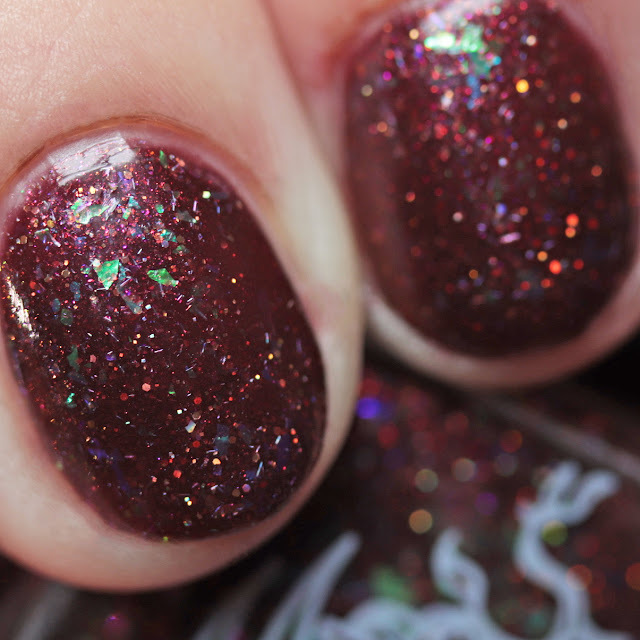 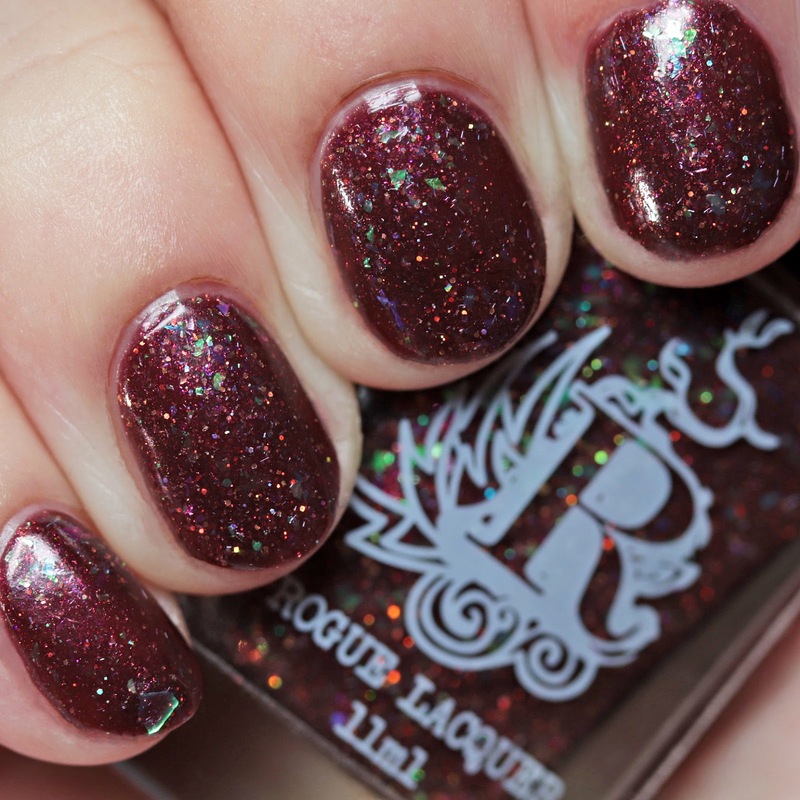 Rogue Lacquer Voodoo Doll is an oxblood jelly with gold holo microglitters, red-to-gold multichrome shimmer, and green-to-purple multichrome iridescent flakes. 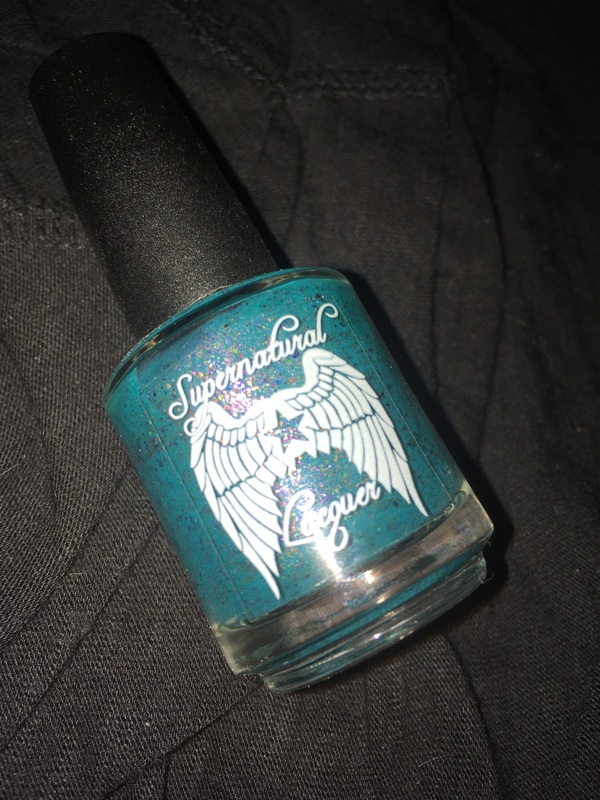 I wore it in three thin coats and it dried quickly. 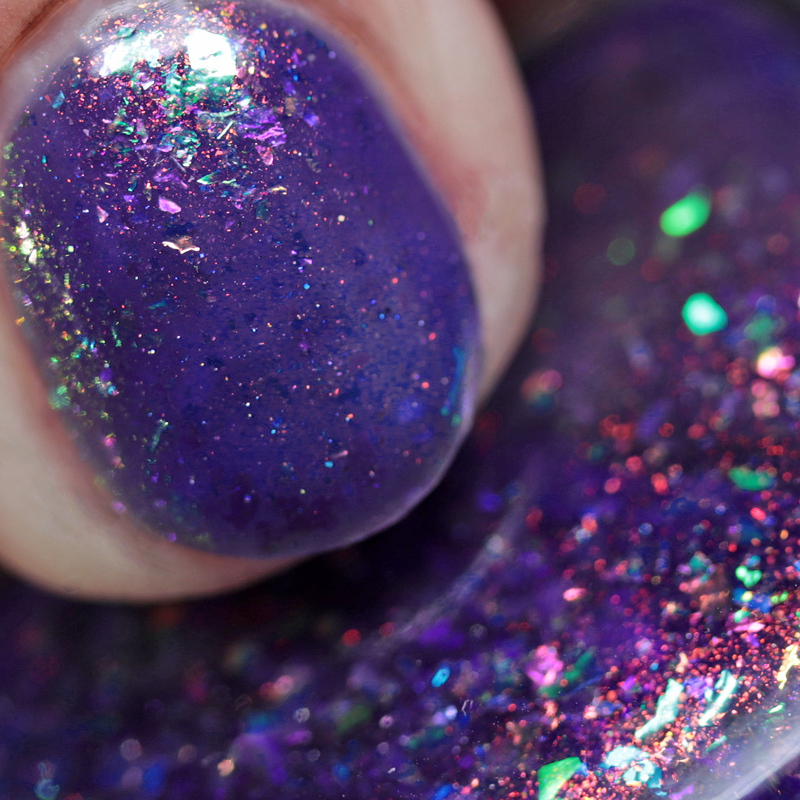 It will need top coat to completely smooth due to the glitters but was fairly smooth on its own. 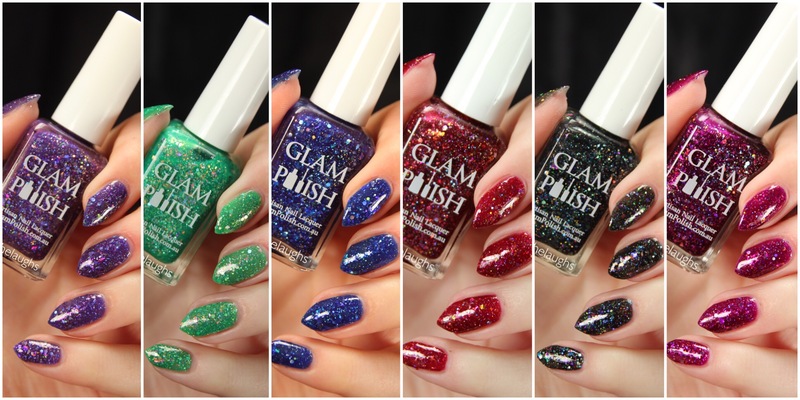 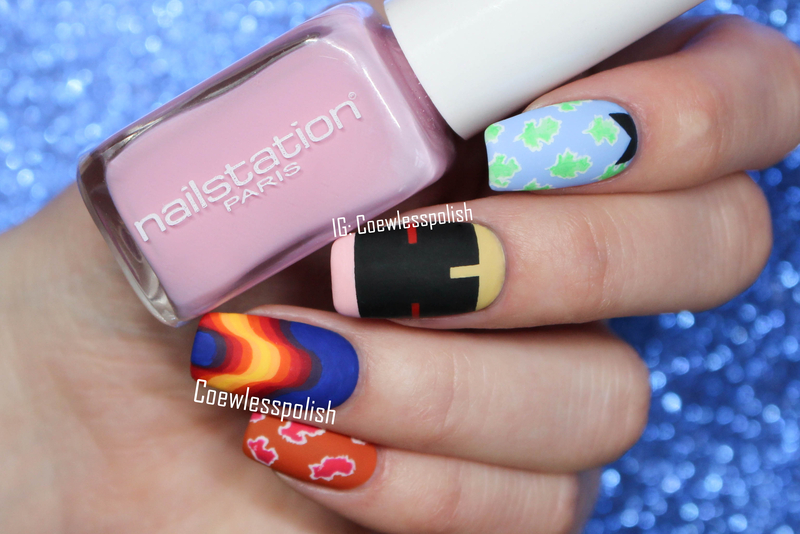 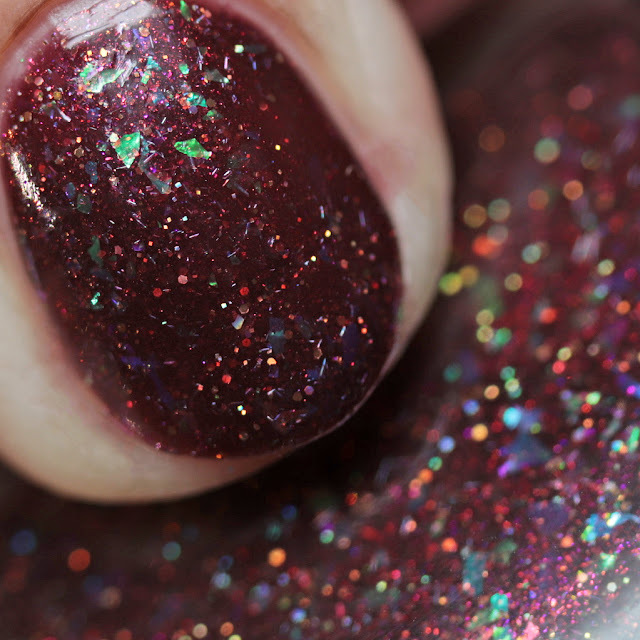 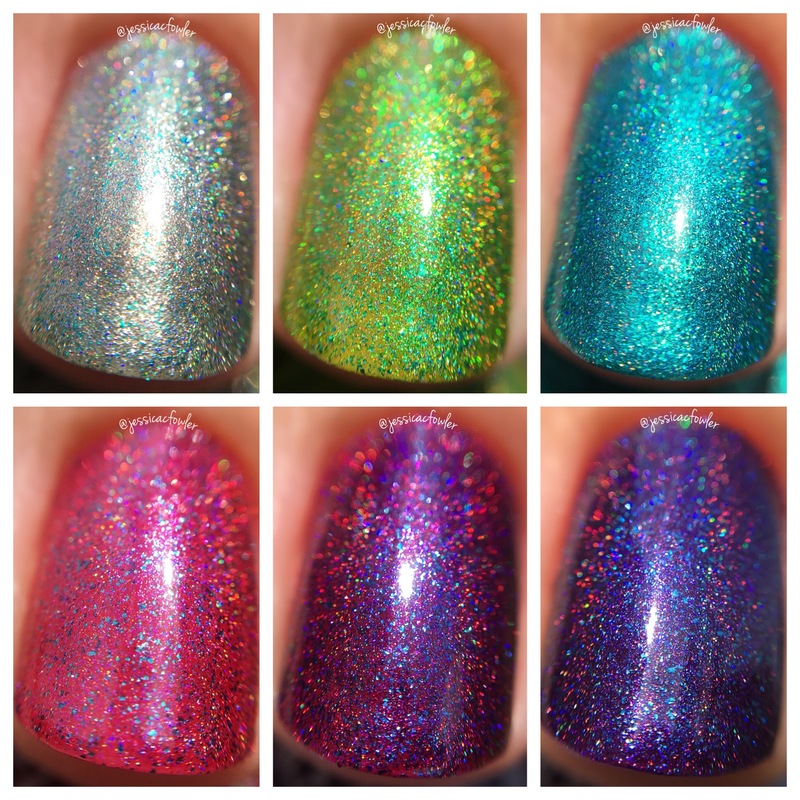 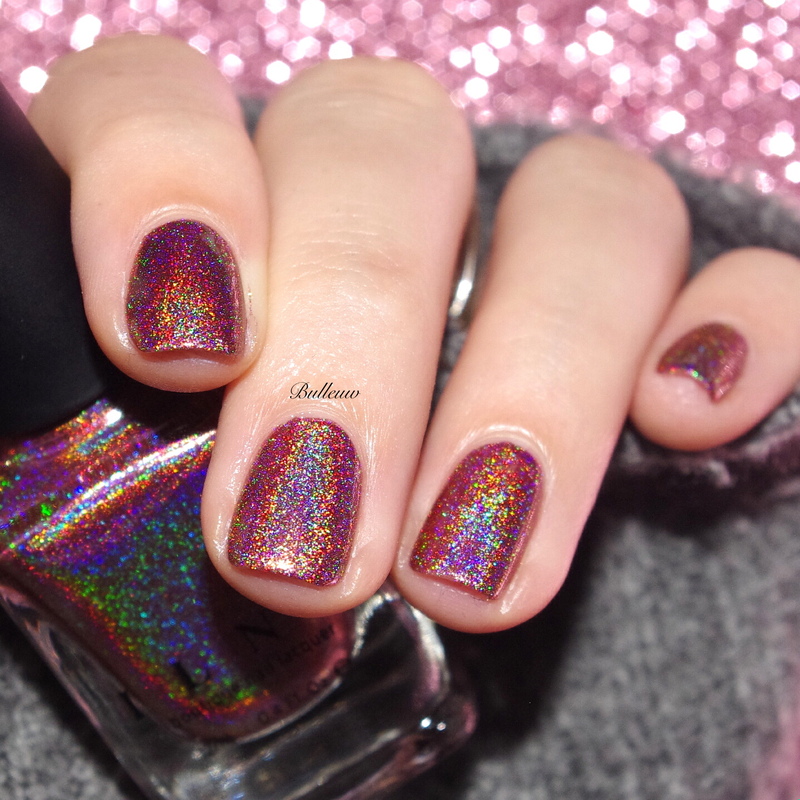 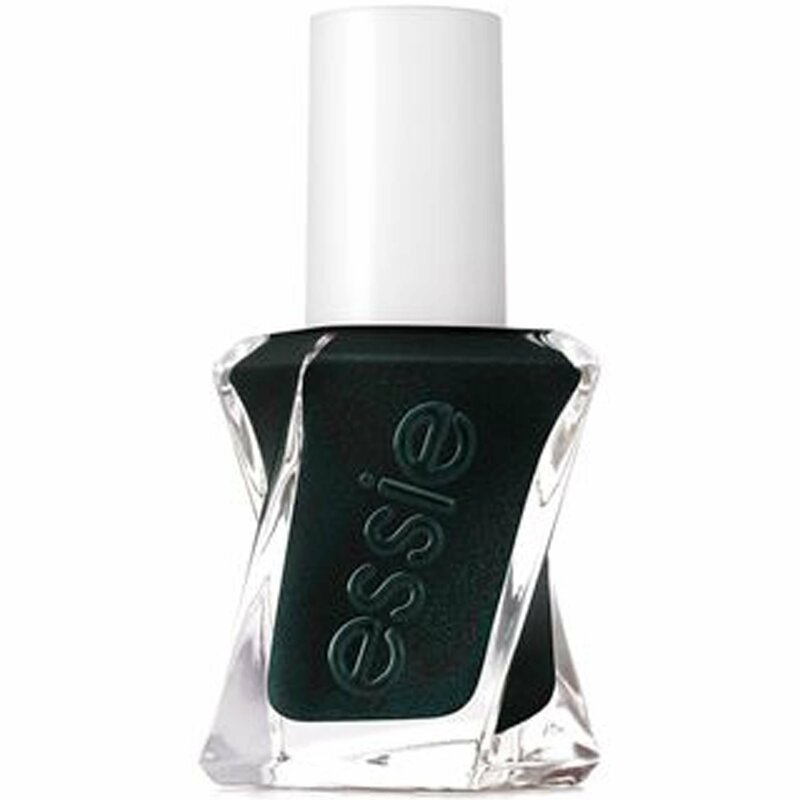 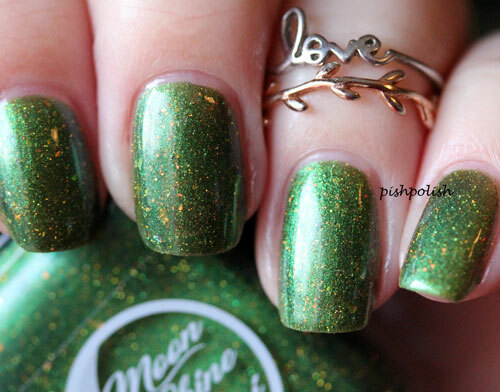 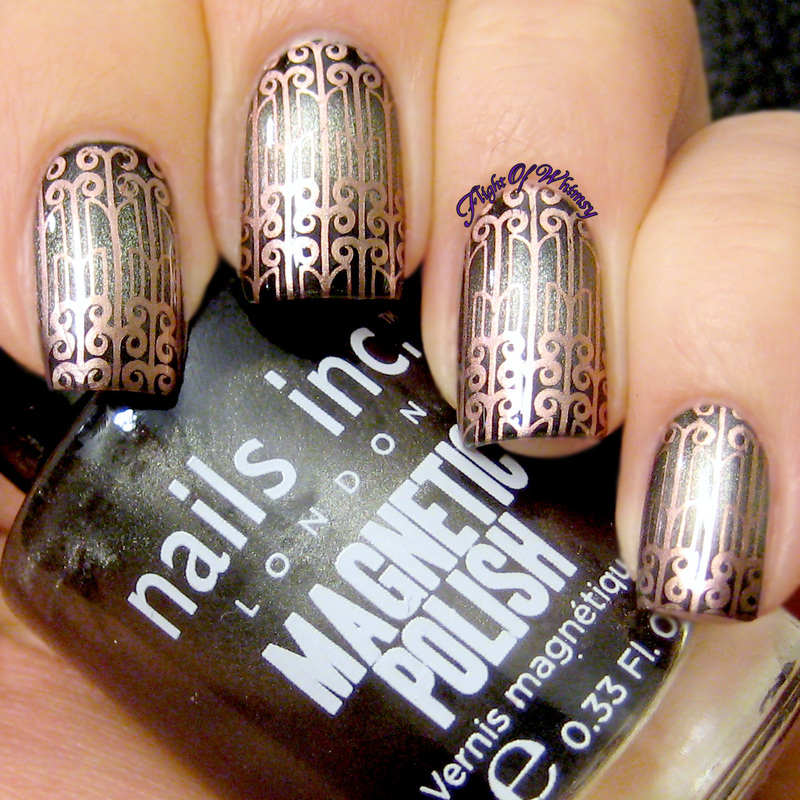 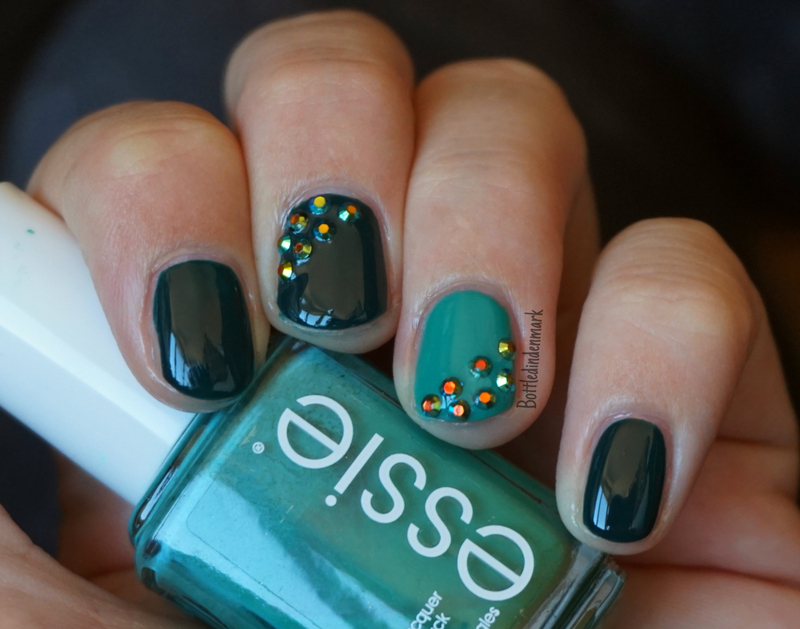 There is a third shade, Charmed, which is a purple-to-mint thermal holo, that you can see at Nail Polish Society here. 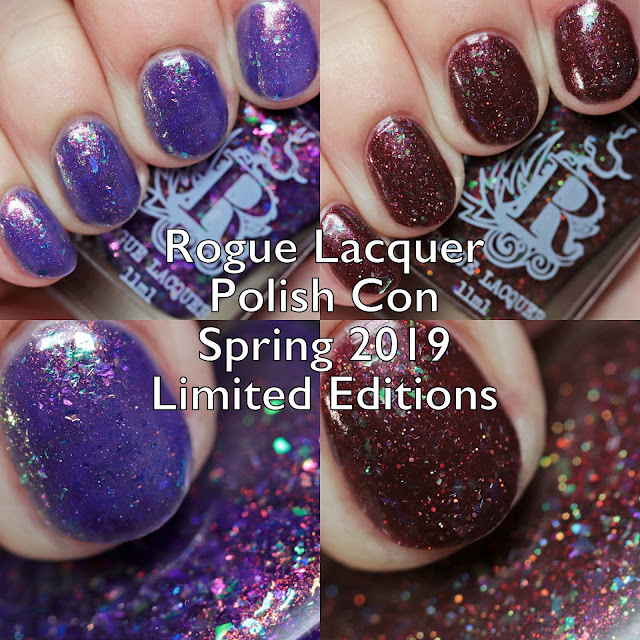 These are all available at the event or on the Polish Con Fairy Shop on Saturday, April 6 at 1PM CDT until Monday, April 8 at 11:59 EDT. 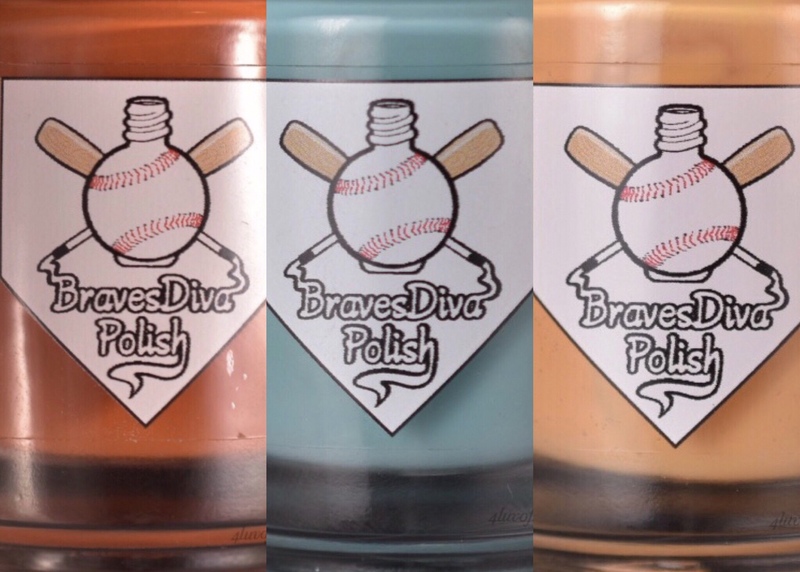 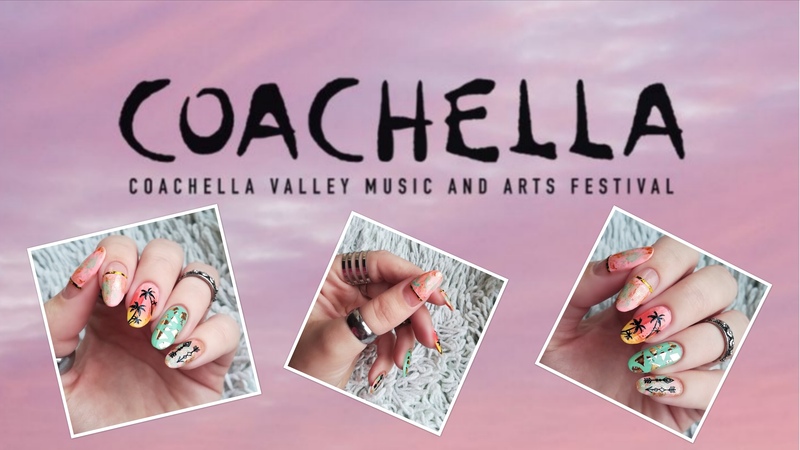 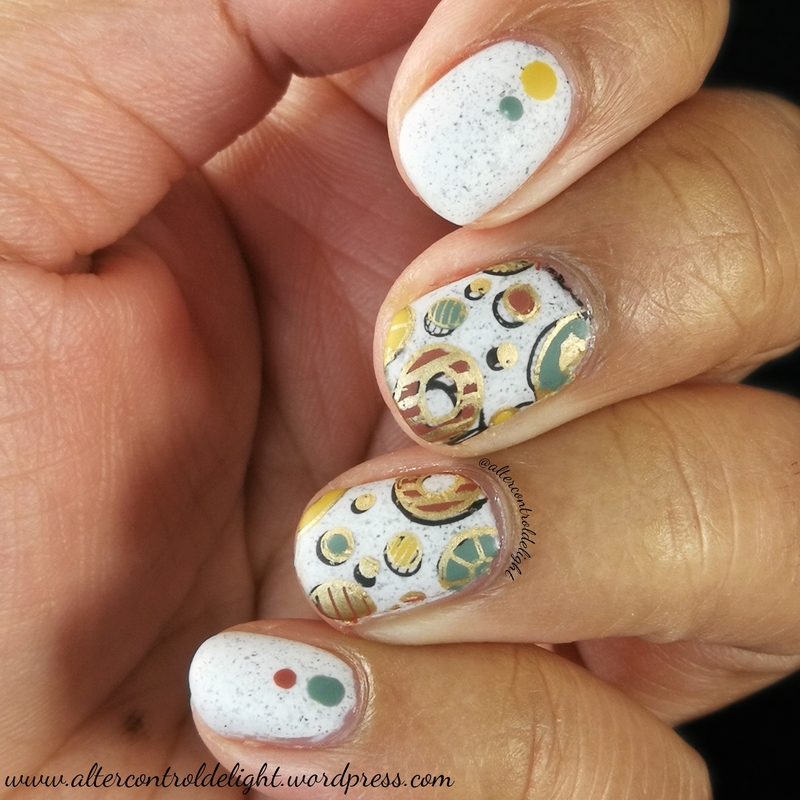 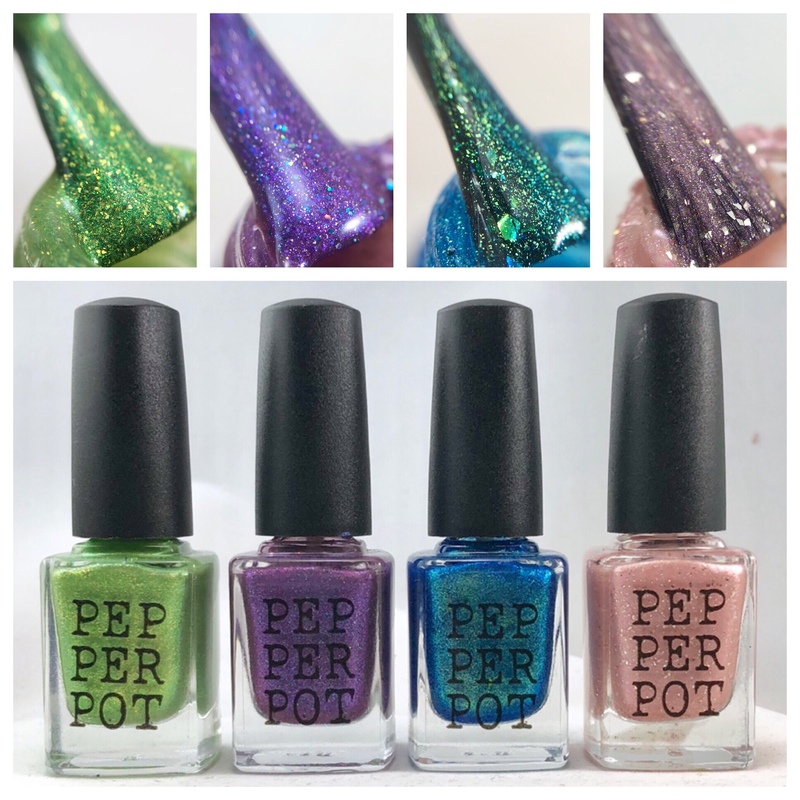 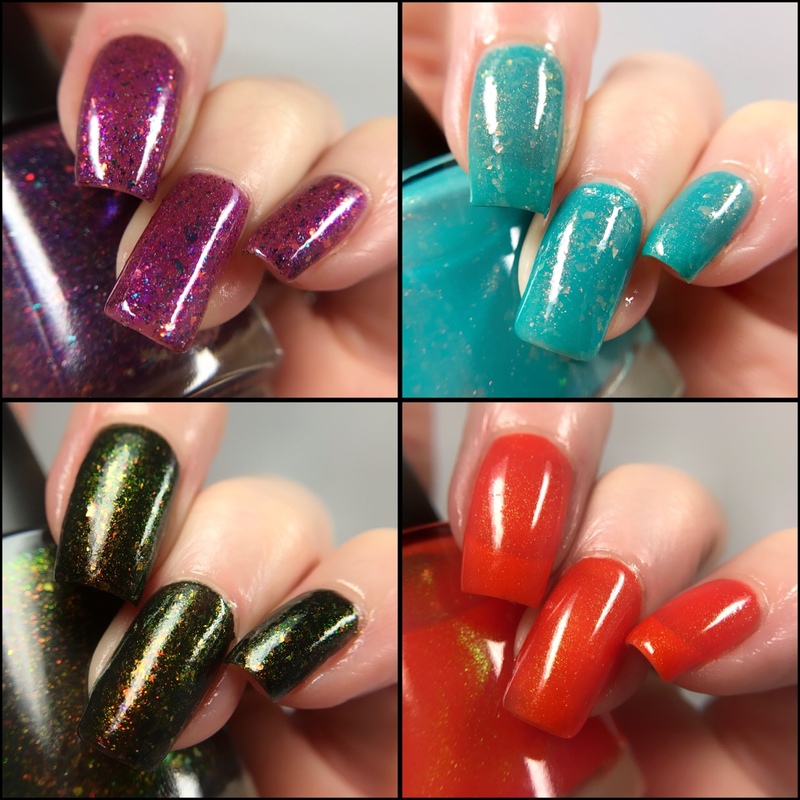 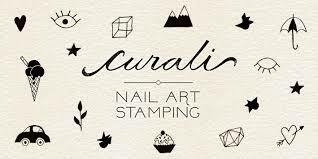 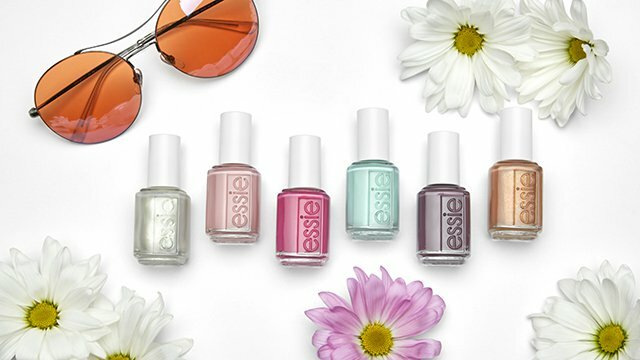 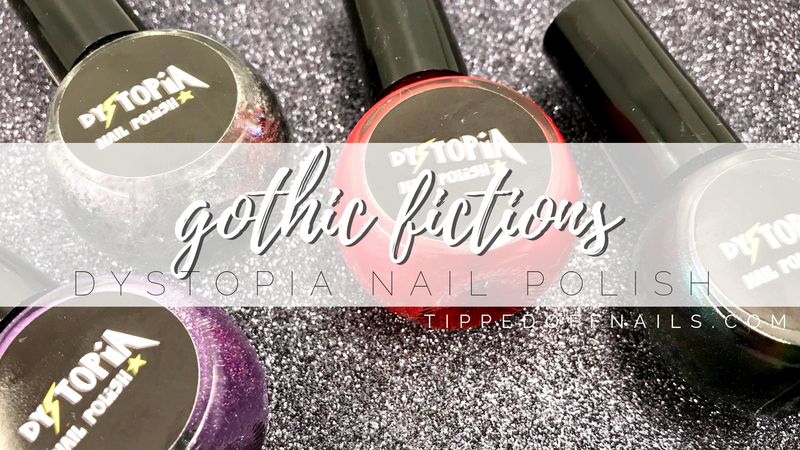 I love that some makers are making their special polishes available to those of us not able to attend - it is a fun way for everyone to celebrate the event, even virtually. 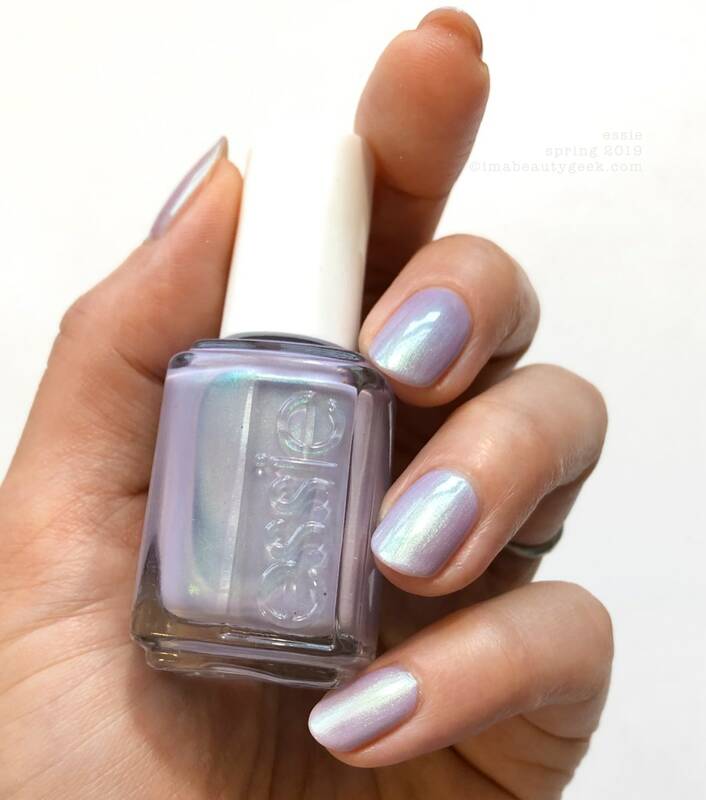 I sure have a lot on my list to buy. 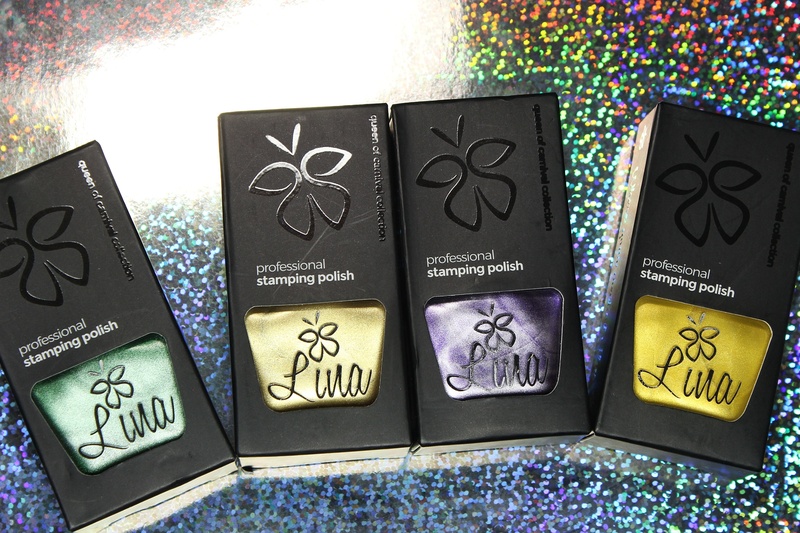 Do you like these or have others you are grabbing?